This exhibition is the first ever officially approved showing of clay figurines made by a previously little understood people in Koma Land in Ghana in West Africa. The figurines, often fragmentary and depicting stylised humans, two-headed creatures, birds, and animals, are thought to perhaps represent ancestors. It is possible that some of the figurines had liquid offerings poured into channels that have been discovered in them, and that some might have been linked with healing and medicine. They were discovered during archaeological fieldwork directed by Dr Benjamin Kankpeyeng (University of Ghana) and involving colleagues such as Prof. Timothy Insoll (University of Manchester) working with the Ghana Museums and Monuments Board. 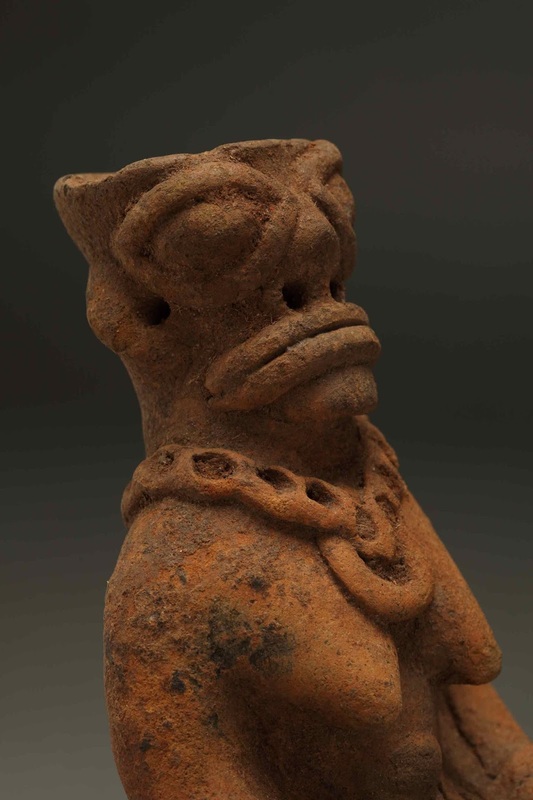 The Koma figurines have been dated to between approximately 500 and 1300 AD. The Museums Association Conference & Exhibition 2013 takes place at the BT Convention Centre, Liverpool on 11-12 November. It is the largest conference and exhibition for museums and heritage professionals in Europe. Over 1,500 senior staff discuss the latest issues, discover new practice and meet the world’s leading suppliers and consultants. We write to invite you to organise a session for the 2014 Annual Meeting of the Society for Applied Anthropology, to be held March 18-22, in Albuquerque, New Mexico. The theme of the meeting is “Destinations” and the Program Chair and Committee want to highlight the innovative work that museums are doing to engage audiences, deepen collaboration, and move beyond exhibition to new forms of outreach and education. We are a world on the move. We are increasingly drawn to issues of transience and mobility. The leading question of our time might no longer be who we are but rather where are we going? Where will we live as storms imperil our lives and as sea levels rise, or as fresh water becomes a scarce commodity in many parts of the world? How do we imagine a fair and just world in those places where immigrants face discrimination and hostility and political refugees wait impatiently for someone to respond to their plight? Where do we find safe harbour when some of our most constant fellow travellers are disease and epidemics and where health care professionals struggle to respond to the needs of a diverse and highly transient population? Where do we locate the past and people’s heritage in such a great furor of instability and mobility? How far must our food and goods travel to satisfy modern consumer demand? How do our cities and communities respond to the needs of the homeless, the undocumented, the multiple other visitors? How are the diasporas of the past reflected in the contingencies of the present, and how might we anticipate the movements of people in the future? Museums have long been “destinations” where people go to seek knowledge, insight, solace and escape from the entanglements of the mobile world described above. Museum professionals have embraced the transformation of their practice, but much of the new work is not familiar to applied anthropologists. The 2014 meeting offers an opportunity to dialogue with anthropologists and other social scientists actively committed to applying research insights in a wide variety of contexts. We hope you will join us by organising a session or roundtable that illustrates new directions, dilemmas, methods and practice raised by your work and that of your colleagues. The program for the meeting will foreground the “museum cluster” of programs so that they will be easily visible to meeting participants. Local stakeholders and community members will be invited to the meetings as well. We are happy to discuss any ideas you might have for sessions, roundtables, or other activities, and answer any questions. You can find full meeting details here.